At kbc we hope that people will feel part of an authentic community. We want to be a church where every person is welcomed and affirmed, where every person feels that they truly belong, where everyone feels cared for and where God is meeting real needs. The best way to participate in community within kbc is by being involved in a small group.For more information on small groups visit the small groups page. The best way to participate in community within kbc is by being involved in a small group. For more information on small groups visit the small groups page. Every few months we organise a church lunch after the second service, including a special lunch for newcomers. We also have a church breakfast from time to time. These are a great way to get to know other people. Look out for a lunch or breakfast being advertised and sign up in the church entrance area. A couple of times a year we have a church social or a ceilidh and every few years we organise a church weekend away. There are also ladies' nights or men's nights advertised in the weekly bulletin from time to time. The Women's Fellowship meet on alternate Monday evenings at 7.30pm from October to May. They have a range of interesting speakers throughout the year. More details available via the church office. The kbc Amblers walking group meet about once a month. There are also family cycle trips and other outings organised by people in the church, as well as various sporting events. This course is for any couple who want to work together to invest in their relationship. 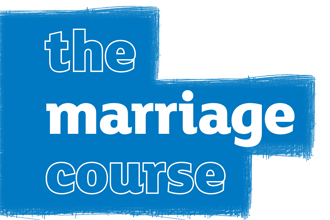 If you have a strong marriage this course will help you make it even better and will reinforce your good habits. If on the other hand your marriage is in difficulty, the course will help provide you with very practical tools to help you work through the issues. While the course is based on Christian principles, couples are welcome with or without a church background. Each week participants are given the opportunity to enjoy a special meal together and listen to a talk on DVD. Then there is plenty of time to discuss the topic as a couple. There is no group work involved at any stage of the course. For more information or details of the next course please contact the church office. We try to be a church that looks after one another spiritually and practically. That happens particularly well in small groups and is supplemented by the work of the visiting team. The staff team are also available to meet with people and try to visit those in hospital or those who are facing particular difficulties. We also run support groups (such as the bereavement group) from time to time. Please contact us or speak to a member of the staff team if you would like some additional pastoral support.